All of the people you see, all the people you know, all the people you may get to know, are machines, actual machines working solely under the power of external influences. ... Machines they are born and machines they die. ... But there is a possibility of ceasing to be a machine. It is of this we must think and not about the different kinds of machines that exist. 3) In Search of the Miraculous: Fragments of an Unknown Teaching (First English Edition Published in 1949). In my opinion, the most important external influences on Ouspensky's thinking were: 1) the German philosopher Immanuel Kant (1724-1804) , 2) the German philosopher Friedrich Wilhelm Nietzsche (1844-1900), 3) the Greek Neoplatonic philosopher Plotinus (204-270 A.D.) and 4) the Armenian mystic Georges Ivanovich Gurdjieff (1877-1949). Kant's influence on Ouspensky was primarily epistemological. Specifically, Ouspensky accepted the doctrine which Kant referred to as the Transcendental Aesthetic. In this doctrine, Kant argued that all of our sensory experience is organized and interpreted based upon certain innate structures contained within our own mind. Our perceptions are understood in accordance with certain a priori intuitions of space and time. Furthermore, these intuitions are best described as being a sophisticated mathematical system. Therefore, it should not be surprising that so much of our thinking concerning the nature of the physical world has been successfully described in accordance with mathematical principles, many of which were discovered long before the physical phenomena they described. There are many examples in theoretical physics where newly discovered physical phenomena have been explained by the use of mathematical functions that were developed many years prior to the discovery of the phenomena. 1) Albert Einstein's General Theory of Relativity (1915) makes extensive use of the non-Euclidian geometry developed by German mathematician Bernhard Riemann (1826-1866) in the middle of the 19th Century. Without Riemann Geometry, Einstein would not have been able to rigorously describe his vision that gravity produces its effects through a warping of the fabric of space and time. 2) Werner Heisenberg's Theory of Quantum Mechanics (1925) could not have been properly described without the use of matrix algebra that had been developed many years previously by German mathematician Carl Friedrich Gauss (1777-1855). 3) Both modern String Theory (1968) and M Theory (1995) make extensive use of the Gamma Function which was first discovered by Swiss mathematician Leonhard Euler (1707-1783 ) in the 18th Century. Based on the above examples, it definitely seems that mathematical discoveries usually occur long before any use is found for them in the physical world of the senses. Kant explains this by asserting that mathematical ideas do not derive from sensory experience but rather are obtained by introspection of the human mind. This view is called rationalism and was advocated by many philosophers before Kant such as Plato, Descartes (1596-1650), Spinoza (1632-1677) and Leibnitz (1646-1716). The German philosopher, Friedrich Nietzsche, primarily influenced Ouspensky in two areas. ... The spiritual haughtiness and nausea of every man who has suffered profoundly – it almost determines the order of rank how profoundly human beings can suffer – his shuddering certainty, which permeates and colors him through and through, that by virtue of his suffering he knows more than the cleverest and wisest could possibly know, and that he knows his way and has once been at home in many distant, terrifying worlds of which you know nothing – this spiritual and silent haughtiness of the sufferer, this pride of the elect of knowledge, of the initiated, of the almost sacrificed, finds all kinds of disguises necessary to protect itself against contact with obtrusive and pitying hands and altogether against everything that is not its equal in suffering. Profound suffering makes noble; it separates. Nietzsche's views on suffering bear some similarity to those of another man who also greatly influenced Ouspensky -- the Russian mystic Georges Ivanovich Gurdjieff. Gurdjieff went even farther than Nietzsche in defining what types of suffering are best for the development of man. To Gurdjieff, "Intentional Suffering" was best for the transformation of man. Nietzsche's most important influence on Ouspensky was teleological. Specifically, Ouspensky accepted the Nietzschean Doctrine of Eternal Recurrence (Eternal Return). Nietzsche thought of the Cosmos as an eternal process of coming to be and passing away. This Cosmos possesses infinite time but only a finite number of events; eventually the events will recur again and again infinitely. The process has no beginning or end. Eventually every combination of matter and energy will be realized and repeated an infinite number of times. In Nietzsche's view, all humans will repeat their lives exactly down to the smallest detail. Each person will be born again, live their whole life again, and die again. One's whole life will be re-lived exactly as it had been previously lived. Accordingly, if the Doctrine of Eternal Recurrence is true, all humans have lived their lives infinitely many times already, and will live them infinitely many times again. Ouspensky was obsessed with this doctrine for his entire life. In 1947, shortly before his death, he had his students chauffer him around to those places where he had previously lived and worked in England. It was as if he wanted to refresh his memory just one last time before he died. In his next incarnation or recurrence, Ouspensky desperately wanted to be able to remember the places where he had been and the things he had done in this life! The fourth man to exert a profound influence on Ouspensky was Georges Ivanovitch Gurdjieff, a mystic from the Caucasian Region of the Russian Empire. The teachings of Gurdjieff are far too extensive to reproduce here. However, I recommend the excellent introductory article by the San Francisco State University philosopher, Jacob Needleman, entitled: G. I. Gurdjieff and His School. P. D. Ouspensky, then a resident of St. Petersburg, first encountered Gurdjieff during a visit to Moscow in April 1915. Gurdjieff had read Ouspensky's book Tertium Organum (published in Russian in 1912), agreed with much of it and had long sought an opportunity to meet with the author. Ouspensky was much impressed with Gurdjieff's knowledge and was intrigued with the psychological practice or "Work" espoused by Gurdjieff. 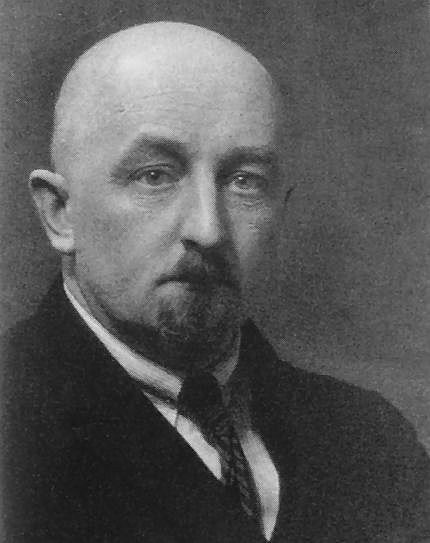 After several meetings in Moscow, Gurdjieff visited Ouspensky in St. Petersburg in the autumn of 1915. Gurdjieff proposed to establish a group in St. Petersburg similar to the one he had already established in Moscow. He sought Ouspensky's help in putting together such a group. 1) Ouspensky, a published writer, would have permission to write about Gurdjieff's teaching to the extent to which he (Ouspensky) fully understood such teachings. 2) The individuals selected for the St. Petersburg group would all be vetted by Ouspensky. No one would be taken into the group without his consent nor remain in the "Work" without his consent. Ouspensky later referred to this arrangement as the "St. Petersburg conditions." As early as 1918, however, Ouspensky began to feel that a break with Gurdjieff was inevitable, that "he had to go"—to seek another teacher or to work independently. The break between the two men, teacher and pupil, each of whom received much from the other, has never been satisfactorily explained. They met for the last time in Paris in 1930 [Sic]. Based on other sources than Lord Pentland, I conclude that the final face-to-face meeting between Ouspensky and Gurdjieff took place in July 1931 at the Cafe Henri IV in Fontainebleau. What took place at this last meeting between the two men is unknown; neither man would ever speak about what transpired. 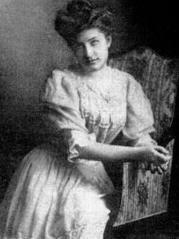 What is known is that a few weeks later, upon Gurdjieff's orders, Ouspensky's estranged wife, Sophia Grigorievna Ouspensky (1874-1963), left Gurdjieff's manor house (the Prieuré) near Fontainebleau and rejoined her husband in England; she remained with him in both England and America until 1945. 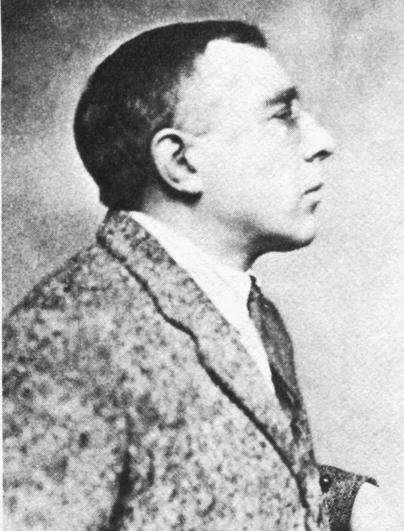 Ouspensky conducted his own teachings independently of Gurdjieff, in both England and America, from 1924 until the time of his death in 1947. 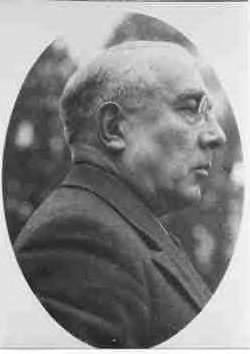 In 1931, at the time of his last face-to-face encounter with Gurdjieff at Fontainebleau, Ouspensky had approximately a thousand pupils in England and was enjoying substantial financial success. At the same time, Gurdjieff's work was at a low ebb; he had only about 20 pupils in France, was almost bankrupt and was about to lose the Prieuré, his chateau near Fontainebleau. After his removal to Paris in 1932, Gurdjieff was still teaching only a relatively small group of students compared to Ouspensky. During World War II, Ouspensky and his wife took refuge in the United States and soon established a sizeable following in New Jersey and New York. However, Ouspensky, in ill health and without his wife, returned to England in 1945 where he subsequently died in 1947. 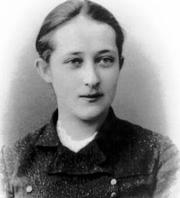 After his death, many of Ouspensky's English and American students, at the urging of Madame Ouspensky, went to Paris to join Gurdjieff during the last two years of his life (Gurdjieff died in 1949). This influx of new students at the end of his life gave the appearance that Gurdjieff's teaching was a thriving concern. In reality, most of his last pupils were former students of Ouspensky, the most notable of which were John G. Bennett and John Sinclair (Lord Pentland). Before I hate Ouspensky, now I love him. This is very exact, he tell what I say. Gurdjieff instructed Madame Ouspensky to publish the book, the only caveat being that he would prefer that his book, Beelzebub's Tales to His Grandson, be published first. Madame Ouspensky immediately took action to publish Ouspensky's book in America. At the last minute, to avoid confusion with another recently published book, Ouspensky's title was changed to In Search of the Miraculous: Fragments of an Unknown Teaching. Since In Search of the Miraculous was first published in 1949, the book has been continuously in print. Indeed, this book is still the primary text for most Fourth Way students and far outsells all of Gurdjieff's books combined! The teachings of Ouspensky from 1924-1947 are far too voluminous to repeat in this short essay. However, those aspects of Ouspensky's teaching contained in his book In Search of the Miraculous, which in my view are of an alchemical nature, are summarized below. 1) Law of Three: In Chapter 4 of his book entitled In Search of the Miraculous, Ouspensky describes Gurdjieff's "Law of Three." This law is synonymous with the alchemical concept of the Tria Principia. The law also bears marked similarities to the dialectic proposed by the Greek philosopher Heraclitus of Ephesus (6th Century B.C. ), the German philosopher Georg Wilhelm Friedrich Hegel (1770-1831), the social theorist Karl Marx (1818-1883), and the psychologist Sigmund Freud (1856-1939). Each dialectical theory involves three interactive stages that describe how change or flux occurs in the world. 2) Law of Seven: In Chapter 5 of In Search of the Miraculous, Ouspensky describes Gurdjieff's "Law of Seven." Gurdjieff taught that there was a fundamental dynamic process whereby both the Cosmos (the macro-level) and individual lives (the micro-level) of people here on Earth were in a continuous state of transformation. The so-called "Absolute" was the fundamental source of all creation. Emanating from the Absolute, the process of cosmic creation evolves according to an ordered sequence of increasing complexity and density. This process follows a law involving the seven note Greek musical scale known on the macro level as the “Ray of Creation.” The universe as a whole comprises many such emanations from the Absolute. Unlike the Pythagorean model (see below), Gurdjieff's scheme involved a relatively modern, sun centered view of the astronomical structure of the Cosmos. A diagram representing Gurdjieff's “Ray of Creation” for the planet Earth is depicted in the table shown below. Ouspensky’s book Tertium Organum had been published with considerable success in England in the early 1920s and had established his reputation as a writer about metaphysical subjects. ... What distinguishes this book is not only the force of Ouspensky’s vision but the fact that it was rooted in his own experience, rather than solely from reflecting on traditional ideas. Thus Ouspensky may be considered a modern pioneer in what can be called “inner empiricism,” a mode of philosophizing about the kind of metaphysical issues which scientific thought has largely dismissed, but which retains the scientific attitude that seeks to base all theory on actual experience and carefully conducted experiments. Ouspensky’s inner world was his own metaphysical laboratory. Of particular significance here, however, is the fact that the book, written before Ouspensky became a pupil of Gurdjieff, contains numerous ideas and formulations which later appear intact in Ouspensky’s account in In Search of the Miraculous as elements of the Gurdjieff teaching. This raises the question of the kind of help that Gurdjieff offered to those who followed him and shows the exceptional degree to which Ouspensky was prepared for such a teaching. In Ouspensky’s case, there is no doubt that he opened himself to the vast body of new ideas which Gurdjieff brought forth. But it is also clear that, at the same time, he retained a great deal of his own previously acquired understanding of the human situation and the universal order. ... In Search of the Miraculous does not, therefore, represent a rupture in Ouspensky’s thinking so much as an extraordinary flowering of it, whereby it became, so to say, an instrument serving a new aim and the vehicle for another quality of energy. He began as an imposing thinker, and after Gurdjieff he remained a powerful thinker who has also become a different kind of man.